I gave each album a name that matched the personality I invented for the band, so that I could create an album cover that would best reflect the musical genre. Everyone knows Stephanie Fox. She is currently one of the best pop female signers in the industry. Her latest album, 159, is full of banger pop songs. This album does not have songs that talk about rainbows and butterflies. The songs discuss the harsh realties of life but still make you want to get up and dance. The graffiti-like strokes of the background represent the anger and frustration that Fox sings about. I decided to use a hand-written font for her name because I wanted to add a personal touch. As if Stephanie herself was hand delivering her album to each customer. 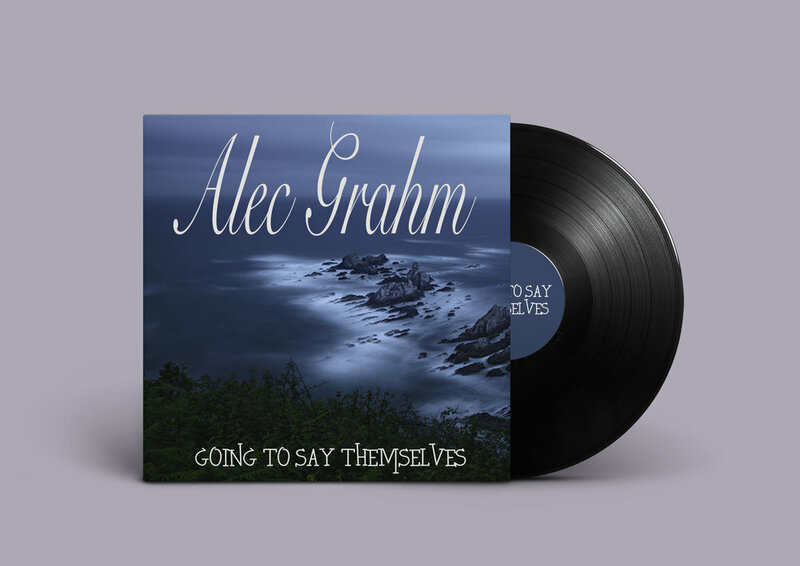 When someone listens to Alec Grahm’s latest classical album Going to Say Themselves, they are transported to their calm place. Imagine yourself relaxing on the beach listening to the waves crashing. The elegant font for Alec’s name compliments the soothing music found in his album. The slightly more modern font for the album name represents the slightly edgier violin parts found his in music. The raspy and hoarse voices of Belorechensky District are in full form in their newest album Capitalism is Alcoholism. The honest lyrics that discuss the grim realities of contemporary society tug at your heartstrings. The lonely and dark album art complements the dripping and slightly bloody font for the band name. I chose a simple font for the album name to reflect its direct boldness. The original artwork for Ixtaltepec Formation’s album was a picture of a garden. However, the band’s anti-establishment anthems and their fantastical lyrics did not match the garden image. I therefore decided to create a graphic using only one flower from the garden. The lonely flower, bright yellow background, and blue type characterize the out-of-this-world feeling the band wanted to convey to listeners.